Update: All lanes are now open on I-10 Eastbound near Atchafalaya River. 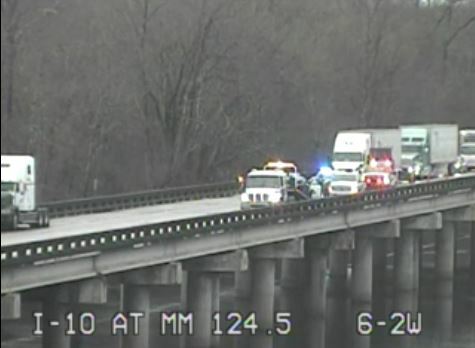 Right now crews are working to clear a crash on I-10 Eastbound near Atchafalaya River. Please use alternate routes. Traffic is currently at a standstill.